This week, Rep. Paul Ryan (R-WI) and Sen. Ron Wyden (D-OR) outlined yet another effort to privatize Medicare; a twist on Rep. Ryan’s voucher plan from earlier this year. The new proposal would supposedly “preserve” the traditional Medicare program, but force it to compete with private plans. 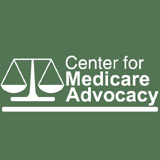 Similar to the earlier Ryan voucher plan, which the Congressional Budget Office estimated would cost Medicare beneficiaries twice as much as traditional Medicare, this one is based on the flawed assumption that private plans will save Medicare money through competition and innovation. The belief that privatization will drive down costs is not based in fact. On the contrary, private plans have not saved Medicare money, and often cost more than traditional Medicare. In fact, traditional Medicare — not private plans — has been the leader in innovations to keep health costs down and increase quality. Under the latest Ryan privatization plan, beneficiaries would have a voucher to purchase a health plan (including traditional Medicare), and there would be a cap on the overall amount of Medicare spending per beneficiary. If a plan (including traditional Medicare) cost more than the voucher amount, then the beneficiary would have to pay the difference between the actual price and the voucher. If traditional Medicare is forced to compete with private, for-profit plans, as Ryan proposes, private plans will work to minimize their spending, and woo the least costly beneficiaries. If beneficiaries that are more expensive to treat remain in traditional Medicare, it will be at a built-in competitive disadvantage, and might well become unsustainable. The math is pretty simple. If beneficiaries pay more for health care, the federal government will save money. That’s where these federal savings come from. But this approach won’t do anything to reduce overall health care spending, which is the real problem. Instead, it will likely lead to reduction in benefits and increase cost-sharing for Medicare beneficiaries. Don’t be fooled into thinking this proposal protects and preserves Medicare – it eliminates a unified program. Traditional Medicare has changed dramatically since its inception in 1965. It has been a cost-effective health care insurance model leading to innovation, access to care and economic security. But Medicare has been complicated and made more expensive by adding layers of private options. Further, as Medicare becomes more and more fragmented and traditional Medicare loses enrollment, it loses its bargaining power over health care costs and its ability to create innovations in the broader health system. Untethered from the overspending and complexities that have been foisted on Medicare by private plans and non-negotiable drug prices, it could once again be a model, for affordable health insurance. Traditional Medicare needs to be strengthened with fewer, not more private options. Entry filed under: Bipartisanship, Deficit Reduction, Fiscal Responsibility, Medicare, Medicare Reform, Premium Support, Public vs. Private Health Coverage, Reform, Vouchers. Tags: Corporate Greed, Deficit; Medicare, Health Care Reform, Medicare, Medicare Reform, Premium Support, Private Insurance, Private Plans, voucher.